Nottingham Trent University - Postgraduate Masters Scholarships in UK, 2019 is offered for Masters degree in the field of Courses offered at the University. 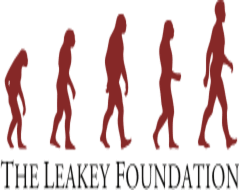 You can apply to this scholarship here. The deadline for the sending your application is 20 May 2019. This scholarship is provided by Nottingham Trent University and the value of this scholarship is Partial Funding, 25% to 50% of the tuition fee . This scholarship is open for: Open to applicants of UK/EU. The Nottingham Trent Unversity offers Postgraduate Masters Scholarships to postgraduate students at the University. Postgraduate Masters Scholarships, Nottingham Trent University open to applicants UK. The courses eligible for the scholarship are all part-time and full-time MSc and MRes courses. The candidates applying for Postgraduate Masters Scholarships should have applied for a Master's course at Nottingham Trent University and received an acceptance from the university. The scholarship is awarded to the students who exhibit passion and dedication to their studies and excellent achievements. The successful applicants of Nottingham Trent University - Postgraduate Masters Scholarships in UK, 2019 will receive a 25% to 50% of the tuition fee waiver. The last date to apply for Nottingham Trent University - Postgraduate Masters Scholarships in UK, 2019 is 20th May 2019. 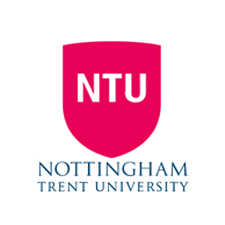 Do you know about Nottingham Trent University? Yes, you can secure an education loan to study abroad at Nottingham Trent University. Education loans are of two types- Collateral and non collateral. Collateral includes either: Immovable property – a house or a flat or land (or) liquid security – an FD, or LIC or shares or bonds. Agricultural lands are not accepted by any bank for education loan. When is the deadline of Nottingham Trent University - Postgraduate Masters Scholarships in UK, 2019? For which degree is Nottingham Trent University - Postgraduate Masters Scholarships in UK, 2019 offered for? For which field is Nottingham Trent University - Postgraduate Masters Scholarships in UK, 2019 offered for? Who can apply for Nottingham Trent University - Postgraduate Masters Scholarships in UK, 2019? Who is offering Nottingham Trent University - Postgraduate Masters Scholarships in UK, 2019? What is the funding covered in Nottingham Trent University - Postgraduate Masters Scholarships in UK, 2019? Where can Nottingham Trent University - Postgraduate Masters Scholarships in UK, 2019 can be taken at? What are the other best scholarships at Nottingham Trent University? What are the other Masters scholarships in Nottingham Trent University?